LONDON—Nineteen nautical miles wide, a couple of hundred feet deep, and carrying 400 ships a day, the English Channel is the bane of traffickers and migrant hopefuls congregating on the eastern coast of France with their sights set on the UK. Unlike the migrants crossing the Mediterranean en masse to reach Europe’s shores, few attempt the perilous journey across the channel by boat. Most instead try sneaking onto the trucks that board numerous ferries. But one trafficking gang was not only smuggling people across the waters of the busiest shipping lane in the world, but had lined up a jet ski for the crossing. Their plan was revealed during a trial at London’s Old Bailey that found them guilty on Aug. 7 of conspiring to breach immigration laws. Illegal migrants are believed to have paid around £5,500 ($7,120) for the journey, which is said to be as dangerous as the Mediterranean crossings to Europe, in which thousands of people have drowned in recent years. 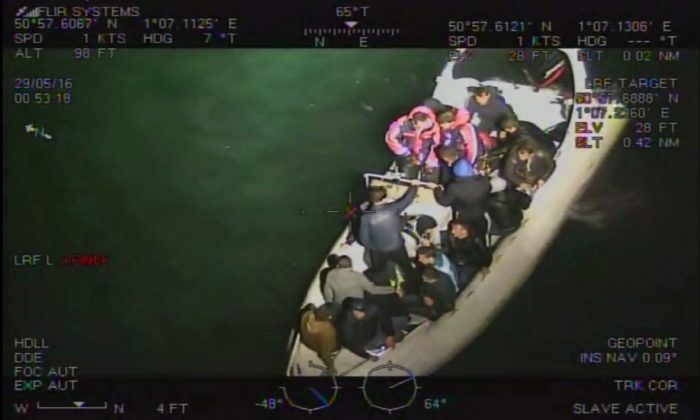 An Albanian trafficking gang had been working with a group from Kent in the UK—all with minimal sailing experience—to bring people across on small boats in the dark. In total, six men were found guilty. At one point, the gang carried 18 people across the channel on a small rigid-hulled inflatable boat built for six. The National Crime Agency had been keeping tabs on the crew from May 2016, planting a listening device on one of their vessels. After a series of mishaps, including near-misses with a fishing vessel and a cargo vessel, and running against the “oncoming traffic” in the shipping lane, the crew ran out of fuel and had to be rescued from the channel. 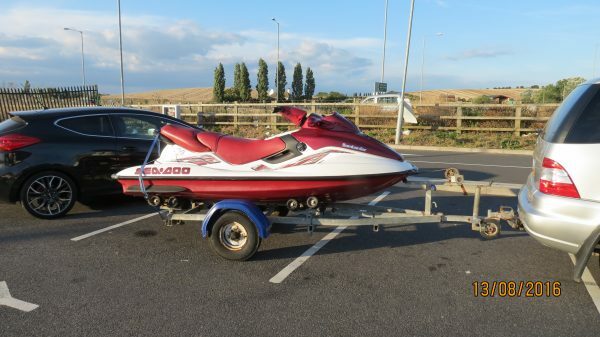 Police moved in to make arrests a month later, when three members of the gang were seen purchasing a jet ski. The vast majority of illegal migrants in the UK are those who have overstayed visas, failed to receive asylum, or have obtained visas illegally. The attraction of the UK as a final destination for illegal migrants led to the growth of a 10,000-strong makeshift migrant camp at the French port of Calais, known as The Jungle, where some stayed for years. The camp, which was destroyed in 2016, served as a base for daily attempts to board the droves of trucks and vehicles boarding ferries. Truck drivers face on-the-spot fines of up to £2,000 ($2,590) for each person found inside their vehicles. There is little information on levels of illegal migration. A report by the London School of Economics in 2007 estimated the number of “irregular” migrants was 533,000—a little under 1 percent of the population. On May 15, at the Central Criminal Court, George Powell entered a guilty plea for his part in the conspiracy. Other members of the group—Wayne Bath, Saba Dulaj, Artur Nutaj, Albert Letchford, Leonard Powell, and Alfie Powell—pleaded not guilty but were found guilty on Aug. 7. The referendum vote left the nation divided.